Sony Mobile hasn’t been the smartphone manufacturer to push boundaries recently. The company had been a stickler when it comes to design in recent years. Thankfully, however, that began to change at the beginning of 2018 with the Xperia XZ2 and XZ2 Premium finally shaking things up. But that was only a taster of what was to come. Forget about all the other Sony Xperia devices launched over the last five years – because none of them come remotely close to the XZ3 when it comes to design. The Xperia XZ2 made some huge improvements with its curvy Ambient Flow design, but even that device looks dated by comparison. The Xperia XZ3 is absolutely stunning (especially in its Bordeaux Red and Forest Green colour options). 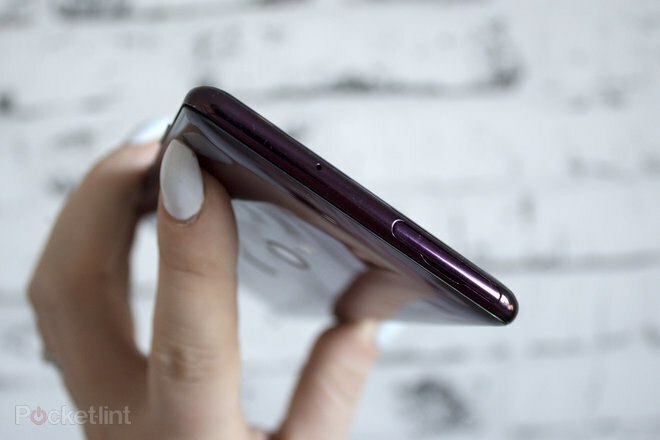 Its metal core is sandwiched between a Gorilla Glass 5 front and curved rear – as it was on the XZ2, but the edges are much softer here; curvier, glossier and much more premium. The XZ3 is also noticeably slimmer than the XZ2 (around 2mm), which makes it a delight to hold, without being overly thin. The glass and glossy finish mean it’s on the slippery side and it loves fingerprint smears like oh-so-many flagships these days – including the Galaxy Note 9 and iPhone XS – but that’s the compromise you make for these lovely finishes. On the rear, the XZ3 has the same symmetrical central positioning for the single camera lens and circular fingerprint sensor as the XZ2. 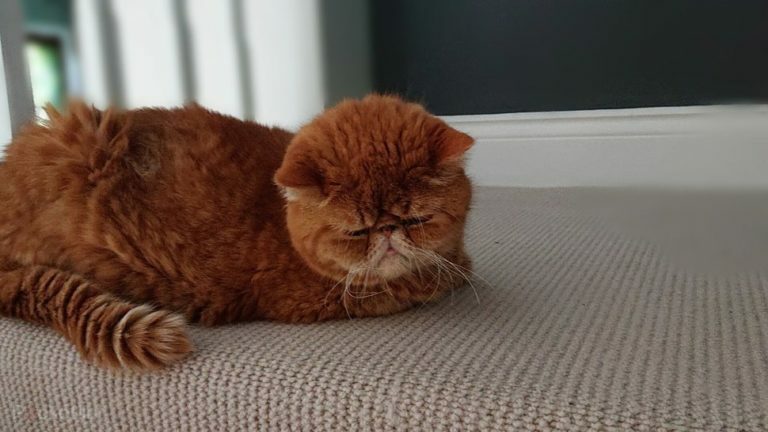 That means the fingerprint sensor is in a slightly awkward position – it’s too low – resulting in the camera lens getting more action from your paws than the sensor should. It’s an oddity, not a deal breaker, as you’ll adapt over time. 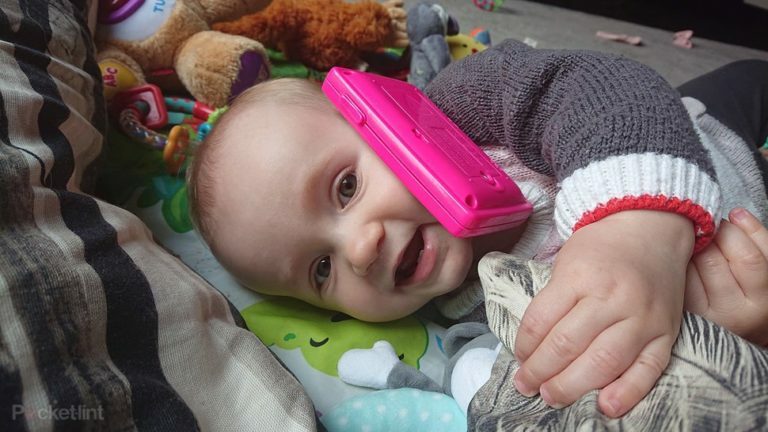 But it’s the phone’s front where you’ll find where the biggest changes. Sony is one of the few companies that hasn’t opted for a ‘notched’ display (the black-out ‘dent’ to the centre of the screen’s top), so you’ll still find yourself with a black-out ‘forehead and chin’ above and below the screen. These are larger than the likes of the Samsung Galaxy S9+, making the Xperia XZ3 feel a little taller than is perhaps necessary. Still, they’re significantly smaller than previous Xperia devices so it’s definitely a move in the right direction. The eagle-eyed may have picked up on the mention of OLED above. It’s not a spelling mistake: Sony has made the switch from LCD for the Xperia XZ3 – and an excellent switch it is, even though we did like the XZ2’s display for its natural colouration. The XZ3’s display is quite simply glorious, certainly a panel that’s up there with the best. Its colours offer serious punch and vibrancy, blacks are deep, while whites are lovely and bright. Switching to OLED and curving those edges aren’t the only steps Sony has taken out of its comfort zone with the XZ3 though. It’s also upped the resolution to Quad HD+. The Xperia fans among you will know that Sony has notoriously avoided using this resolution (despite being one of the few manufacturers to offer a 4K display on a phone). It’s argued for many years that there is no native Quad HD content and therefore it isn’t necessary, nor worth the trade in battery life. 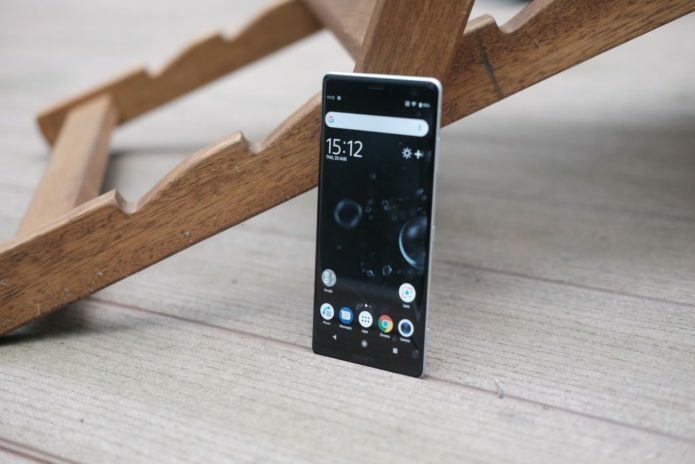 The Xperia XZ3 goes against Sony’s earlier morals – and the better for it. Offering a 548ppi pixel density across its 6-inch screen means everything is exceptionally sharp and detailed. We watched Star Trek: Discovery on Netflix and the colours and detail produced by the Xperia XZ3 are excellent – significantly punchier and sharper than our Samsung Galaxy Note 8 (which is a year older). Like the Xperia XZ2, the XZ3 also has an 18:9 aspect ratio, something we’ve now come to expect from smartphone flagships, along with HDR (high dynamic range). Sony doesn’t just support mobile HDR content, however, it will also ‘upscale’ standard content to HDR-like quality thanks to Sony’s X-Reality software. This is something that’s been on Sony devices for some time, so it isn’t new to the XZ3, but it’s a nice addition nonetheless. When it comes to hardware, the Xperia XZ3 is near enough on par with the XZ2, meaning it offers a solid performance with plenty of power from its Qualcomm Snapdragon 845 chipset and 4GB of RAM. There is 64GB of storage, which although is actually relatively small compared to some newer devices – specifically the Galaxy Note 9 and its 512GB option – the XZ3 does have microSD card support (up to 512GB). A USB Type-C port is on the bottom of the XZ3 and Qi wireless charging is supported too, as it is on the XZ2 and XZ2 Premium devices. We weren’t as impressed with the XZ2’s battery as we have been with previous Xperia devices so it’s great to see some extra milliamps of capacity added to the XZ3. The jump has made a difference too, getting us through the day and into the next without a problem. Typically we had to add a bit of juice towards mid afternoon of the next day but the Xperia XZ3 is more than capable of lasting a day and a night. You can also turn on Sony’s Stamina mode if you need it to stretch that little bit further. Like the XZ2, the XZ3 has no 3.5mm headphone jack, but it does support Hi-Res, LDAC and aptX HD. Sony’s Dynamic Vibration System is also on board, which can add vibration to anything you are watching or playing for added dramaticism. In terms of speaker sound output, the Xperia XZ3 has a 20 per cent boost compared to its predecessor – and this difference is apparent. It’s not quite to the Galaxy Note 9 and S9+ level, but the XZ3 offers good stereo separation and volume, making watching content on it pleasurable. Sony is one of the few manufacturers left to stick with a single-lens rear camera on its flagship smartphone. 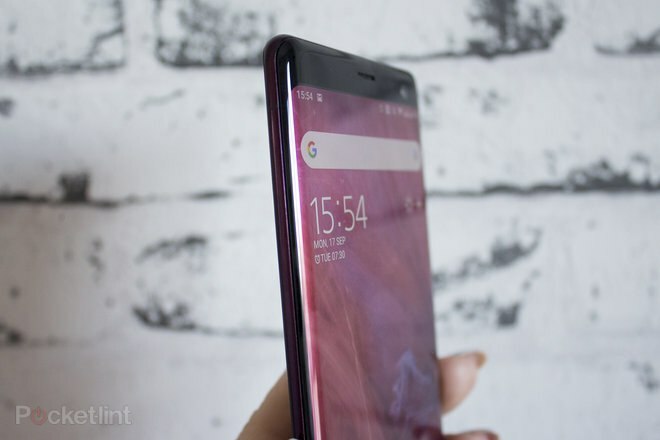 It reserves a dual camera setup for the higher-end XZ2 Premium device, while the XZ2 and XZ3 have the 19-megapixel Motion Eye camera that launched on the XZ1 in 2017. 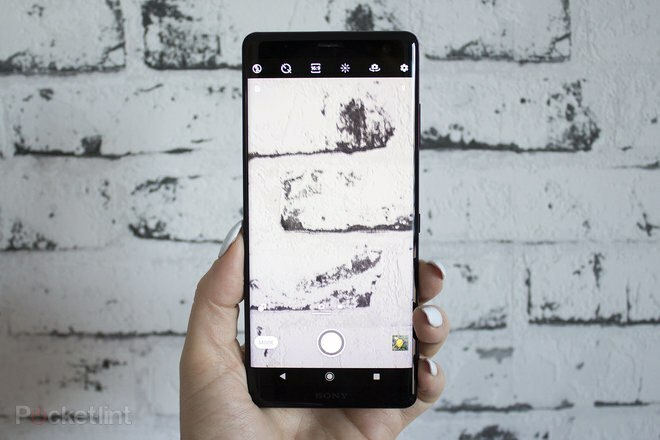 There have been some refinements over the XZ2, but the hardware is the same on the rear, which means there is no optical zoom and no wide angle, as you’ll find on devices like the Galaxy S9+ and the iPhone XS. Despite lacking Auto-HDR, however, the XZ3 offers a good performance with plenty of detail and wide dynamic range. Low-light performance has also improved in the Xperia XZ3 compared to the XZ2. Overall though, the XZ3’s performance is not quite as impressive as the likes of the Huawei P20 Pro or the Galaxy Note 9, both of which offer excellent low-light images. In terms of video capture, Sony continues to offer super slow-motion at 960fps, but it can do this in Full HD whereas most competitors only offer 720p. It’s easy to use and it’s great in bright conditions. There’s also 4K HDR video capture, although this will not work in tandem with Sony’s SteadyShot image stabilising software. On the front, the XZ3’s hardware has changed from the XZ2, with a 13-megapixel f/1.9 sensor that comes with beauty modes and bokeh effects (allowing you to adjust the blurriness of the background). Effects like bokeh are individual installation options, which feels odd. The main camera app has been updated, though, so switching between stills and video is now just a swipe, while all extra features – including manual mode, bokeh and panorama – are within the Mode section. Once installed, the bokeh effect isn’t as effective as some of Sony’s competitors. Sony takes two photos from one camera, rather than one photo from two cameras simultaneously (as it can’t). It’s not as streamlined as it should be, nor as advanced as the iPhone’s Depth Control feature. It can take several attempts to achieve the bokeh effect on the XZ3 – and when you do, it’s very dependant on how far you are from the subject as to how good the results are. Interestingly, the bokeh effect on the front camera is much simpler to use and the results are better than much of what we managed to achieve using the rear. Sony has also expanded its AI (artificial intelligence) camera functionalities beyond Superior Auto and Predictive Capture with a new feature called Smart Launch, which automatically opens the camera when it thinks you’re picking up your device to take a photo. This works surprisingly well in our experience, though it’s worth noting it will only work when you pick up the device and immediately turn it horizontal. You’re also be able to touch the side of the curved display to take a photo. The XZ3 runs on Android Pie with just a few pre-loaded additional apps including 3D creator, Netflix and Sony apps (separate for Gallery, Music and Video). There are a couple of new software additions for the XZ3 too. One is called Side Sense, which takes advantage of that new curved-edge display. 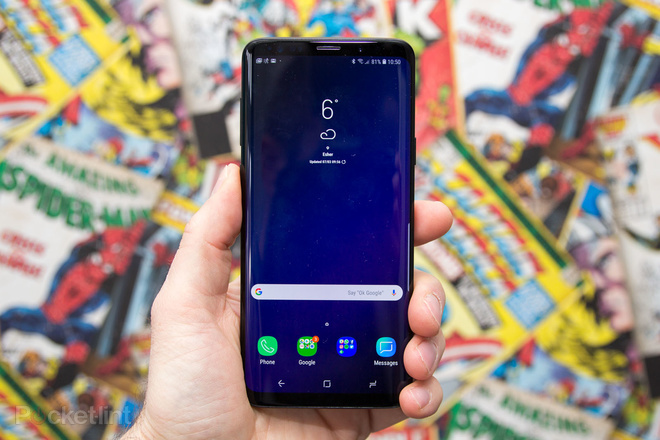 Double-tapping the side of the display will offer access to apps, a little like swiping the side of the Galaxy S9+ or Note 9 will bring up Apps Edge and People Edge. What’s good about Side Sense is that you can double tap anywhere on the side of the display and either side of the device too, but there’s also a “More Apps” option allowing you quick access to all the apps installed on your device, as well as access to settings. It also learns what apps you use and when, ensuring you see those first. For example, if you regularly watch YouTube on your morning commute, you’ll see YouTube if you double tap the side in the morning, while if WhatsApp is the app you use most regularly during lunch time, that’s what you’ll see first. It’s not flawless, but 90 per cent of the time it’s rather handy. 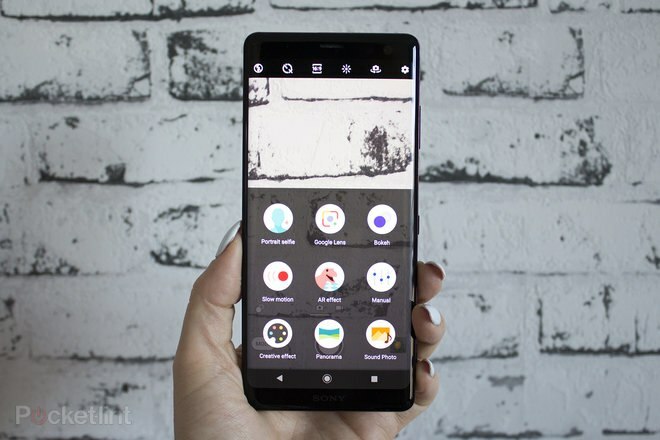 As the Xperia XZ3 runs Android Pie, it delivers many of the great new features that come with Google’s latest software build. You can read more about Android Pie in our separate feature. The Sony Xperia XZ3 is the Xperia flagship we’ve been waiting a very long time to see. It finally pushes design boundaries, resulting in a stunning device with a great display and lots of top features. 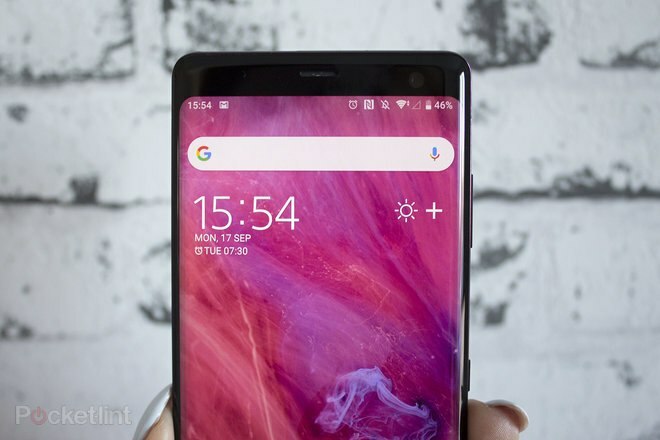 The camera experience is handled better by the competition, though, while Sony Mobile’s six-monthly device refresh feels like overkill because, you guessed it, the ‘XZ4’ will most likely bring the XZ3’s amazing design and display along with newer hardware like the Qualcomm Snapdragon 855 chip. So why not wait? That said, the XZ3 really is an excellent device at an attractive price point. It might have taken a few years longer than others, but the XZ3 is, without a shadow of a doubt, the most exciting Xperia device for years. The Samsung Galaxy S9+ offers a brilliant design, fabulous screen, excellent speakers, and great camera results. 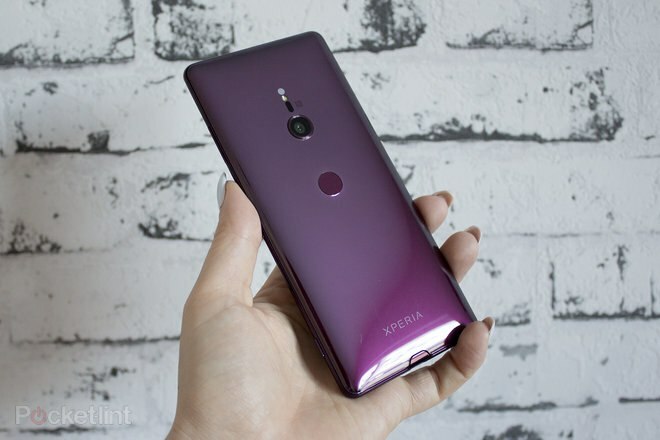 It’s a little pricier than the Xperia XZ3 but it is an excellent device with a dual rear camera that delivers excellent performance. 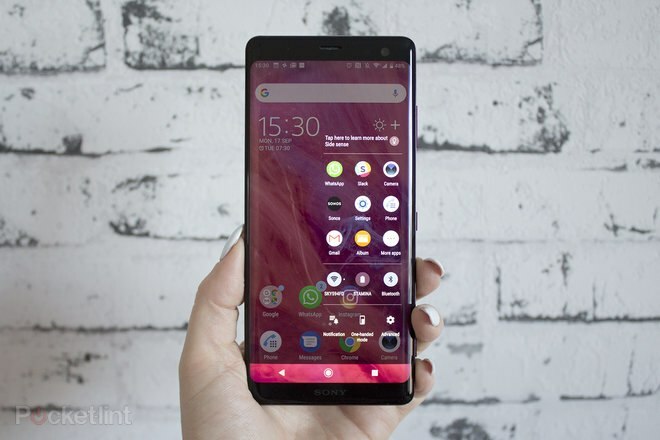 Huawei’s P20 Pro is £100 more than the Xperia XZ3, but it too offers a stunning design, as well as an excellent battery life, a camera that’s best-in-class, impressive sound quality, and all the power and performance you’ll need. 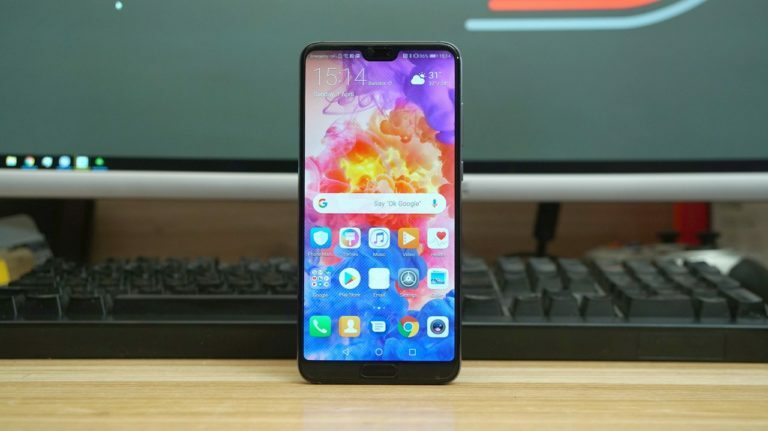 It software experience isn’t as good as the XZ3 and the XZ3’s display is more impressive, but the P20 Pro is still a worthy alternative.